silversatsuma wedding photography: Like what we do? Sharing is caring. 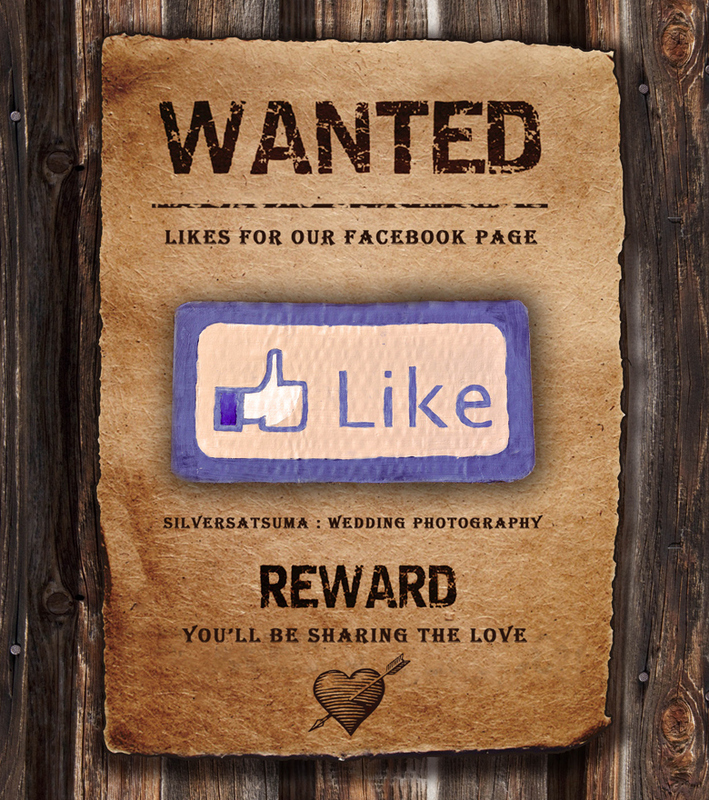 If you like what we do please 'like' our facebook page silversatsuma : wedding photography. Of course you can 'like' this poster too, but we'd really like you to 'like' our page...like now! Thanks so much for all the support, it means a great deal to me.